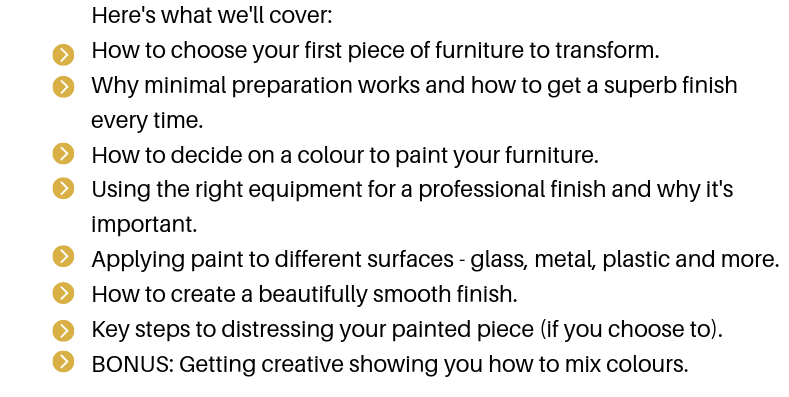 Furniture Painting for Beginners - UPCYCLED & CO. I'm the founder and owner of Upcycled & Co.
​Since 2016 I have taught more than 600 people my unique painting processes, and in 2017 I launched my own furniture paint brand, Upcycled & Co. Furniture Paint. With a deep passion for all things creative, I have dabbled in all sorts over the years from decoupage to acrylic painting, knitting, sewing, and everything in between. But my greatest love is furniture painting. 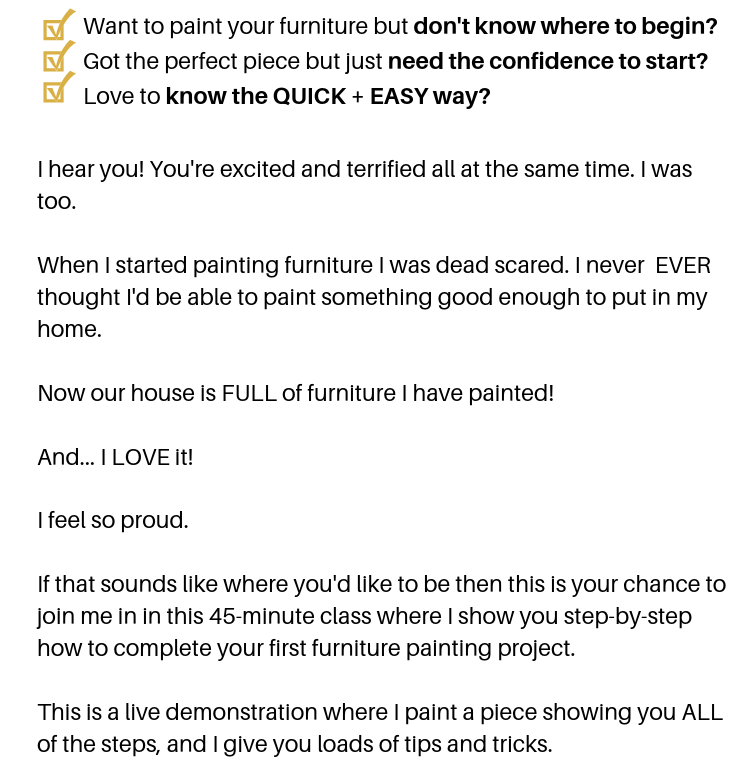 I simply LOVE sharing what I know about furniture painting. Normally $97 - Today just $47! ​I thought I would enjoy the workshop but not as much as I did. Look out furniture! Thank you for a fabulous workshop. I'm inspired and I've got so many ideas now!